Woodburn and Wedge Managing Shareholder John Murtha announced today the firm has named Shay Wells as a shareholder. Mr. Wells’ practice primarily focuses in business and corporate law, entity selection and formation, mergers and acquisitions and real estate and other commercial transactions. Wells earned a Bachelor of Arts in criminal justice, pre-law from the University of Nevada, Reno and a Juris Doctor at Gonzaga University in Spokane, Washington. He joined Woodburn and Wedge in 2010 after serving as a summer associate in 2009. In 2018, he was named one of northern Nevada’s Top 100 Attorneys by Nevada Business Magazine’s Legal Elite, after being named one of Nevada’s 50 Best Up & Coming Attorneys in 2012 and 2014. 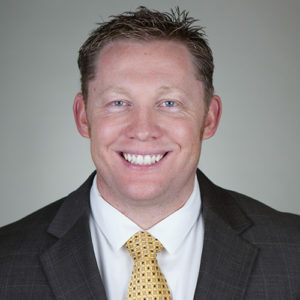 Wells is a past president and former member of the Board of Directors of the Reno-Tahoe Young Professionals Network. In 2018, Woodburn and Wedge celebrated a century of independent practice in Nevada. Woodburn and Wedge is located in the Sierra Plaza in south Reno and has twenty-one lawyers and a support staff of twenty. The firm is a general practice firm which has developed a diverse corporate, business and litigation practice with a strong and broad base of clients including commercial investment firms, national consumer and commercial finance companies, national and local banks, credit unions, real estate development companies, mining companies, utilities (public and private), small and medium-sized businesses, law firms, accounting firms, engineering firms, public agencies and individuals. See Shay’s Shareholder announcement in the January edition of Northern Nevada Business View.